Evelyn was born in Mexico City, raised on the west coast, and is now cultivating her artistry on the east coast. She is a proud UC Santa Cruz graduate who devoted her time to Psychology, specifically to the effects of movement in adolescent girls of color. 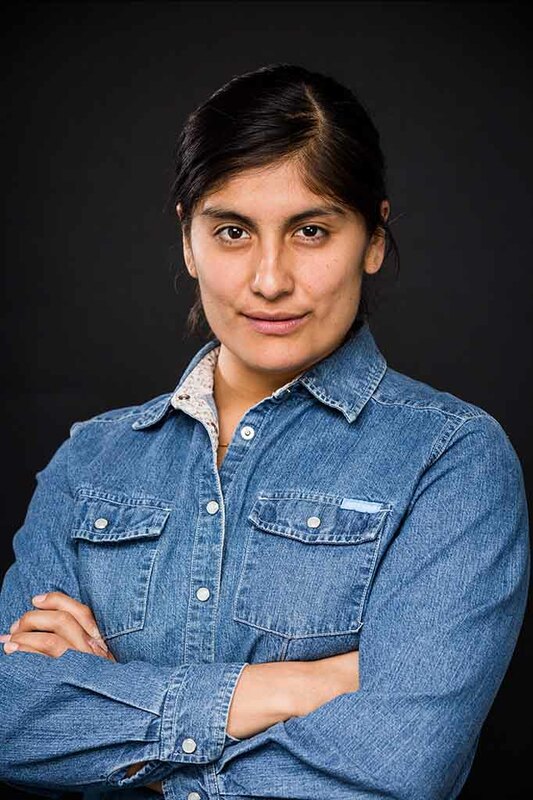 While there, she invested her energy in practicing community righteousness through working with the Brown Berets, Watsonville chapter and performing with Rainbow Theater, a theater troupe that vocalizes the stories of people of color through different mediums. Evelyn is currently working with Abby Z and the New Utility and has also performed in works by Contra-Tiempo and Gesel Mason. Evelyn intends to pursue an MFA and a Doctorate in dance in order to contribute to this much needed faction of psychological research. Evelyn plans to create a dancing sports farm where adolescents can learn about the power of self resiliency through stewarding, running, and dancing with the land. The qualitative and quantitative data generated from said farm will be used to inform and support why dance and all types of movement that involve repetition, consistency, and critical thinking are crucial elements in creating stronger, sound, liberated individuals.